What can I say? 12 books in 12 months. I’m tired. 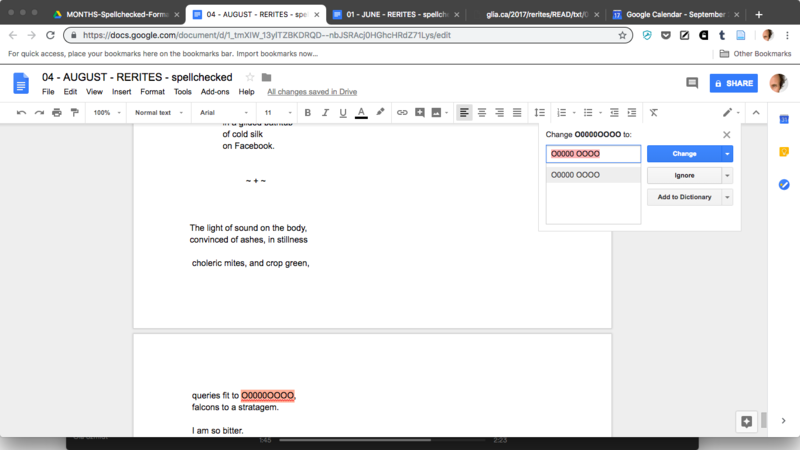 Even though the computer did a significant amount of labour, the process still entailed writing-editing (or what I refer to as “carving the text”) about 60 hours every month. 2 hours a day, 6-7 days a week, between 6:30-8:30am, in the quiet meditative emptiness before the internet awakes, with email closed, and the web only used for searching, I carved. 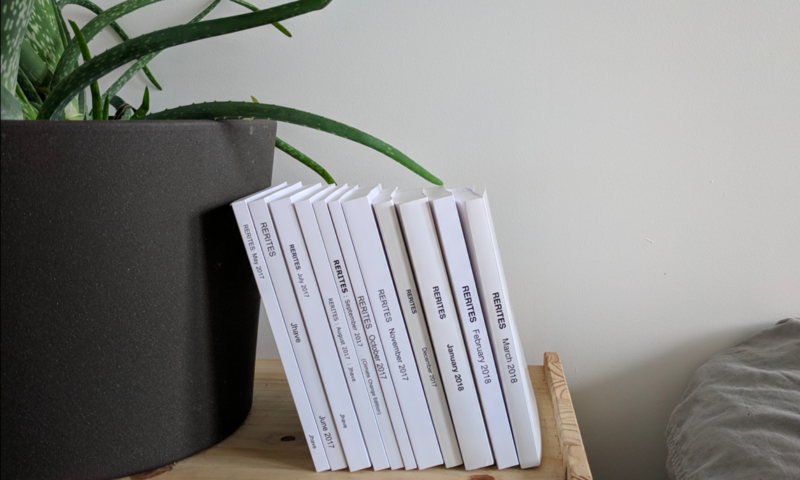 All 12 RERITES books will be published by Anteism in Fall/Winter 2018. 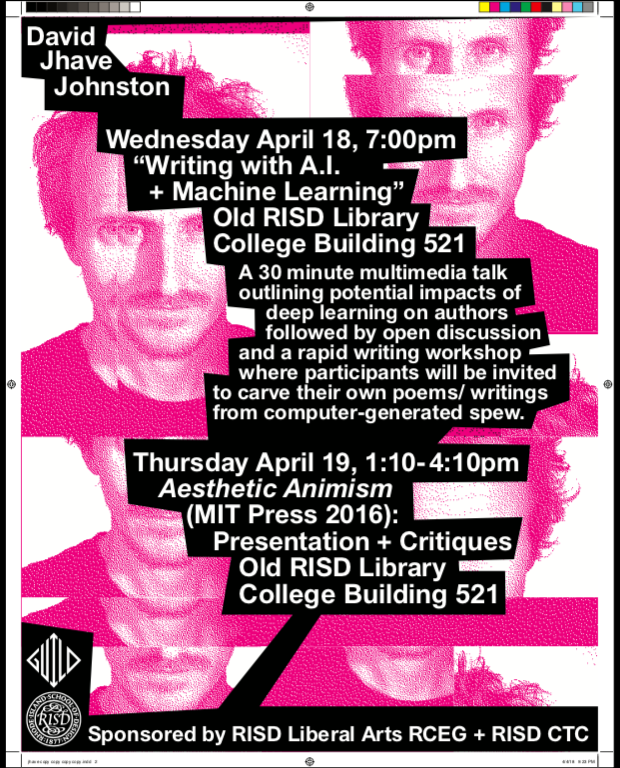 I was generously sponsored to teach at Rhode Island School of Design [RISD] for 2 days (April 18-19th) by the exceptional poet and RISD faculty member Mairéad Byrne. The following materials were created for her Digital Poetics course. Too tired to mix a fresh corpus. Exoadderal AIgorythms redefine poetic potential. It’s as simple as that. The muse fueled by a million lines will lose to the muse capable of ingesting and contemplating and comprehending a billion lines: diverse, diffusive ecstatic anamnesis. 3xspeed didn’t seem fast enough for our temporal performance obsessed generation so i moved to 4x speed. So as if there was any need: here is more. Things, media, le openness, and tenacity. On a boat, a heaven. Mother no envied by also. Often, the defeated of redemption her hair. May the poem sit in the centre of the page like a stone. May its margins clear space in the mind. deliver semblance of an archetype. it is shaped like a poem.